Dr. Larsen’s training with the Spine Institute of San Diego, CA, and also the Academy of Chiropractic has proven to provide him with exceptional knowledge in the treatment and handling of Personal Injury patients. For over 20 years Dr. Larsen has been successfully treating whiplash and soft tissue damage along with ligament injuries sustained in car accidents. Most doctors are not trained in the detection of these hidden injuries. If you are injured in a car accident you are entitled to receive care to get back to the way you felt and functioned just before the accident. However, once you settle your case, you lose the right to have your insurance company pay for treatment you need. Please refer to the Facts to Know page. Even if you are just sore you should be evaluated as soon as possible because you may experience pain, numbness, headaches, muscle stiffness, fatigue and other problems including arthritis many months after the accident. 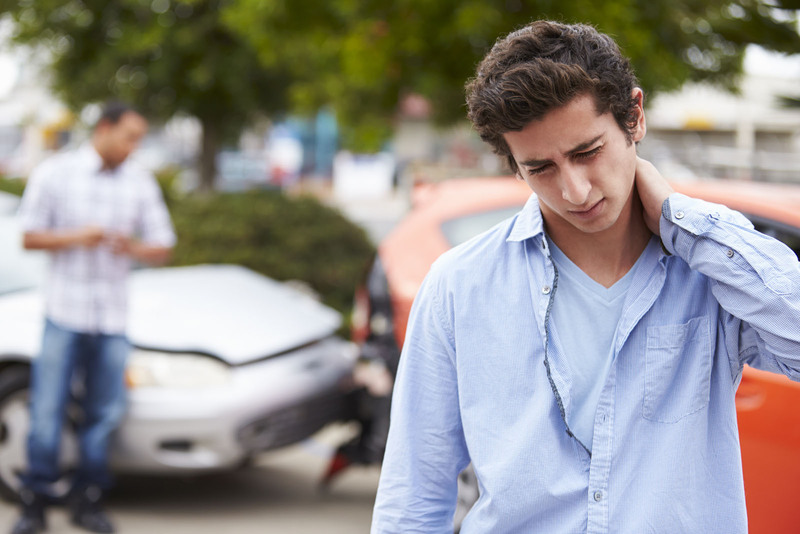 Chiropractic treatment of whiplash injuries gently realigns the spine and helps regain muscle strength and flexibility. 1) C.R.M.A. (Computerized Radiographic Mensuration Analysis) is fast becoming part of the gold standard in dealing with whiplash-related incidents such as ligament stretches and tears, among other symptoms. 2) Dr. Larsen is one of the few doctors in MN who uses the Dynarom. He has been twice-certified with Dynarom procedures for before-and-after treatment which have always proven beneficial and are paramount for the patient who wants to win a lawsuit in the cases that are tried in court. 3) MRIs are taken at a facility that specializes in Personal Injury cases. This is one of only two facilities in Minnesota that does the upright MRI. Furthermore, Dr. Larsen has X-Rays and MRIs read by a leading doctor who teaches chiropractors and medical radiologists world-wide on interpreting results for soft tissue and ligament damage. Being a Knowledgeable Injury Practitioner gives Dr. Larsen an edge in providing care when using such technologies. Do you want to have your day in court? Dr. Larsen can be an expert witness in auto accident cases by utilizing spinal ligament injury tools. Call for Auto Injury Treatment at (651) 439-2712.